I haven’t written here for some time. In part I’ve just been busy (finals!) but on another level I’ve been questioning the very purpose of writing. Who is it for and what can it do? It can seem a super privileged and not very Big Impact thing to do and in that sense as though it has little value. However, for the time and means at my disposal and for what it does do – even if only for one person – I truly believe it has worth. In fact, it is the ‘one person’ moments which are the most meaningful ones. It is the ‘one person’ moments which can have the deepest impact too. The most rewarding aspect of writing is to hear someone say they have felt, or do feel, the same. Though there may be many consequences and corollaries of writing – you can educate and raise awareness or ignite discussion and disagreement – one of the central and most worthwhile motivators, to me at least, is the hope of articulating something both for myself and for people who feel the same: giving words to feelings and experiences. In a sense this task of giving words to wordless things is about validation. It’s about self-validation but also about trying to provide a sense of validation for those in similar positions. ‘Saying something’ has value because it can give weight and solidarity to things deemed otherwise insignificant due to their complex, intangible or unarticulated nature. ‘Saying something’ also has value not only as an act of articulation, but one of creation. Sometimes, especially for people who are minorities in their societies in whatever form, writing can provide one way of escaping conventional frames and paradigms. A way not only to express life as it is and give it meaning, but a way to imagine life anew. For second or third-generation migrants this act of imagining through writing is necessary because there are not always frames of reference for the ways we are existing. The societies and cultures we are part of are new and changing and we are constant producers and products of them. Consequently, we have no real conventions of our own, only the ones belonging to those before us and to the society we are minorities in. Each day is therefore either a task of shrinking to their frameworks, or creating anew. More likely, it is the latter. We must create anew because we are in new situations and new predicaments. There are not always old or familiar routes for the places we are going; there are not always old or familiar words to explain ourselves to both our families and our friends. Being trapped between paradigms – due to being unable to fit both or all – can be a suffocating place to be. We cannot destroy those paradigms already in place, but we surely can disrupt and disturb them at least. We can destabilise their hegemony over ideas of what beauty looks like, what love looks like, or what joy looks like. We can create and imagine just by performing life. In the ways we socialise and the ways we use and think about ourselves and our bodies we are creating. In being neither one thing or another we do not cease to exist but instead are in the process of making something new. We don’t have to be ‘hybrid’ or have ‘one foot’ in ‘either’ place (society, culture, belief-system etc) because that fails to account for the complexity of what we are really doing. We are part of something entirely new. This is scary. It is a frightening prospect to set out into the world knowing you cannot fit the paradigms in place. But maybe we can embrace the fear and turn it into bravery and hope. Maybe we can set out to be new paradigms and make it easier for others. Maybe we can give words to what has been wordless and make stories for those who are making their own. I never used to think it really mattered that I had role models who looked like or shared something with me; I could be inspired by anyone. But I understand the difference now. I can be inspired by anyone, but the important thing about role models in your own image is that they give you a story that could directly be yours. They give you a framework, a template or an image that makes it easier for you to re-imagine the parameters of your own life and dreams. Therefore, living bravely and creating our own conventions can help us to provide what was not there for us, to others. Doing this, creating new paradigms, is also important because if we don’t create we risk replicating. In a society so full of people oppressing each other replication runs the risk of reproducing oppressive structures. If we don’t want to reproduce oppression then we have to think carefully about how we exit. To oppose the oppression that not only faces us but also other people demands a radical love and an opposition that goes beyond distrust and superficial anger. Too often we viscerally oppose those who oppress us but continue the oppression of others ourselves. We want ‘freedom’ on the terms of the oppressor. We want to reclaim the power they use to subjugate us but blind ourselves to the fact that that power is therefore inherently coercive. Rather than take that power let us subvert it. 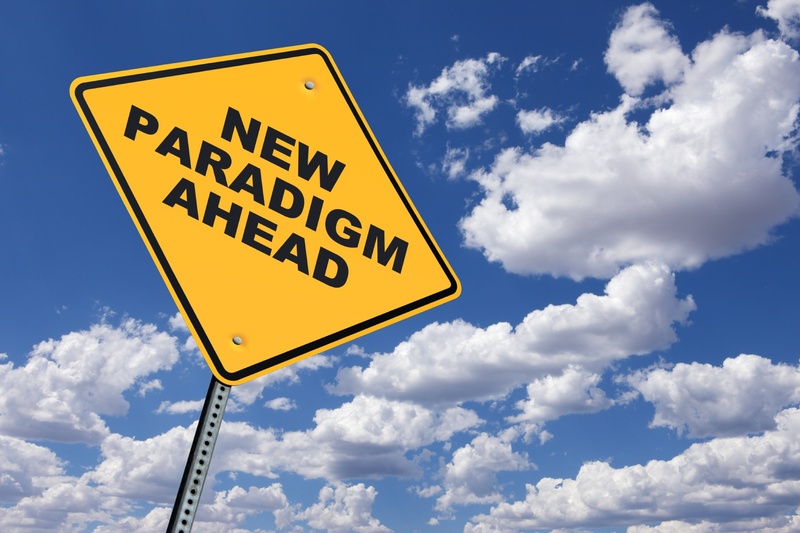 Creating new paradigms is about existing in new ways. There is certainly anxiety and fear in this, but there is also liberation. Liberation for ourselves, but perhaps also for others. By creating templates of life and existence which break free of other models – which contest the very way those models have been constructed – we aid others in their own self-liberation. I have been inspired by every unacceptable person I know. By every identity which disrupts the certainty of my own, every life narrative which defies the time-bounded milestones we presume. Let us use the means we can then – the ways we exist, talk, write or whatever else we can do – not only to validate and express existence, but in doing so also enable it.